Interested in selling your home and want to move into a new home? Let Amy Bailey help you. My expertise and skills combined with my resources, reputation, and access to the local and global real estate markets can offer you the powerful advantages you need to make a profitable real estate transaction. 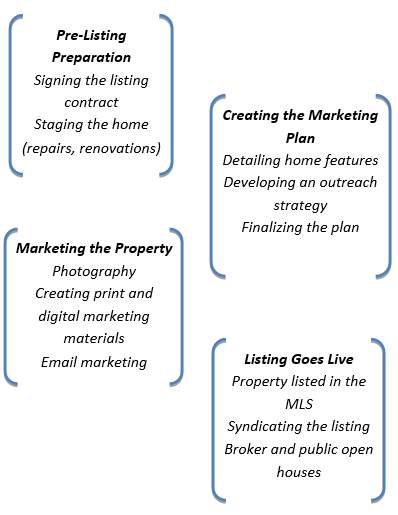 Using my proven marketing techniques, I can translate these powerful advantages into a comprehensive strategy that will help you achieve your objectives of selling a property. If you're interested in selling a residential or commercial property, I invite you to become a part of my large community of valued customers and experience my exceptional service and extraordinary results. Put My Real Estate Marketing and Sales Skills to Work For You. With the use of technology and our deep real estate expertise, I make sure that the listing represents the essence of your home in the best possible way. To make sure that your stunning home is seen by every potential buyer in the community, please contact me.